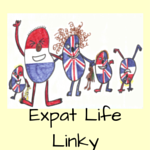 Many blog posts ago I wrote down my expat bucket list. Looking back now, I see I was very ambitious! Maybe too ambitious. However, I’m pleased to report that I’ve actually achieved one of them, I’ve sort of done another one although it’s a bit of a cheat and I’ve completed an additional one that was not specifically on my original list but is similar so I’m going to count it. 15. Understand the British school system and exam structure for teenagers. This I feel I have accomplished. We still have the two GCSE years ahead of us but my eldest has just submitted his GCSE options and is all ready for the hard work to come. I now have a clearer understanding of the options, why they have to choose them, what their choices mean, how the school supports them and what is in store for them during years 10 and 11. I still have ‘college’ to learn about but it’s no longer a huge mystery to me and I feel so much more confident and able to help and support my children through the British school system during years 9, 10 and 11. And, I’m so pleased that my son has chosen both History AND Geography because I was secretly appalled at the thought of him not doing Geography at all during his high school years. Yay! 6. Master the art of baking the perfect Victoria sponge. I’d never eaten this before I came to England and now it is one of my favorite cakes but one I’m not very good at baking. Ok so this one is a bit of a cheat because it was actually my daughter (along with her British father) who completed this one. She and her father made the perfect Victoria sponge while I was away and sent me photos and a detailed description of the making of the cake. My husband then made a second one which I was able to try once back home. Apparently this second one was not as good as the first because my daughter was not involved! This leads me to the next one in the list…. Travel more in Europe. This one wasn’t specifically in my list although I did mention more European travel. I’m going to count it as an additional one. During this past half term, I traveled via Eurostar from London to Bruges with my sister-in-law and we spent three glorious child-free/husband-free days in one of the most charming places I’ve ever been to. This was the first time ever that I’ve been away from my children and without my husband so initially it felt very strange. I soon got over that and we thoroughly enjoyed ourselves. It’s amazing how relaxing it is not having to think about what to cook, who’s doing what or needs to go where and with what equipment, and not having people saying “Mum, mum, mum” to me every two minutes. Really, it’s very refreshing! It was a long overdue much needed break away from work as well but of course I brought back lots of chocs for everyone! Ach, trying to understand a school system you never went through is tough – I am still wading through the Dutch system like walking through syrup. And that’s just primary school…… I know secondary school will be a lot worse to get my head around despite already trying! Bruges is beautiful – we must be due another visit as it has been a long time since we were there! Good luck with it all Amanda. At least here they speak the same language (sort of!!)! Oooh I’m craving a Victoria Sponge now too 🙂 Yes I totally recommend Bruges. Perfect for a short break away from kids, work and home! Thanks Phoebe but I don’t think I’m completely there yet ha ha! Still a ways to go but I do feel more confident, and, as you say, little by little things fall into place….